A peek inside our Slacks. Photographed by Julia Robbs for Bed Bath & Beyond. You know we love discussing new brands, restaurants, and collaborations on the design scene. But what happens when old home goods resources become new again? 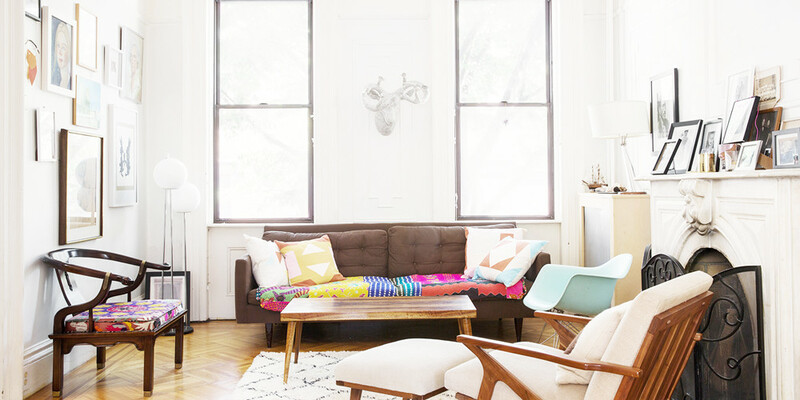 Did you guys see this Brooklyn Townhouse home tour? Like OKAY Bed Bath & Beyond, getting all cool! WHAT? They do home tours? Wait this is awesome. So does Bed Bath & Beyond create content now?! This whole thing is blowing my mind. Yeah it's their new lifestyle site. We picked up one of their DIYs a few months ago, but it's actually really interesting/good. ALSO look at this from the website: "Content is brought to you by the founders of Of a Kind, Claire Mazur and Erica Cerulo. Their website sells the pieces and tells the stories of emerging designers and makers, and if you don’t know it, check it out—it’s part of the Bed Bath & Beyond family, just like your new favorite blog is." Wait, I didn't realize Of A Kind was part of the BB&B family? I looooooveee Of A Kind. So well-curated. I also just saw that BB&B furnished Leandra Medine's house? I saw that too! In the AD article, that Decorist did her house and brought in BB&B? 1. This reclaimed teak armchair will add a hint of modern bohemian to any living space. 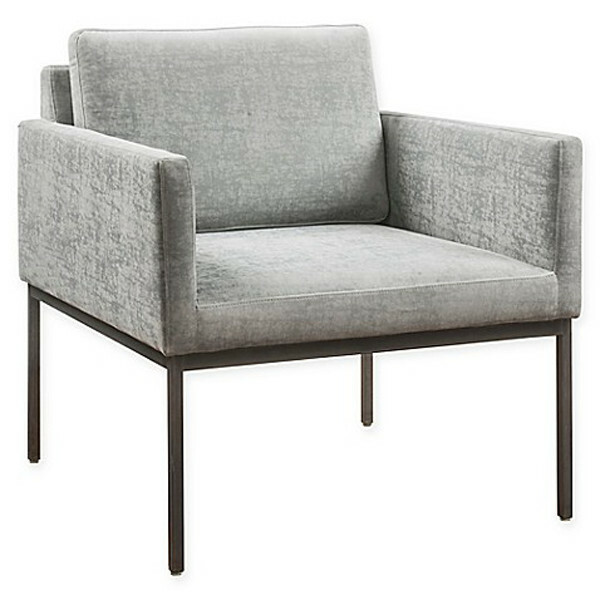 Safavieh Bandelier Reclaimed Teak Arm Chair with Light Oak Finish, $236.99, Bed Bath & Beyond. 2. 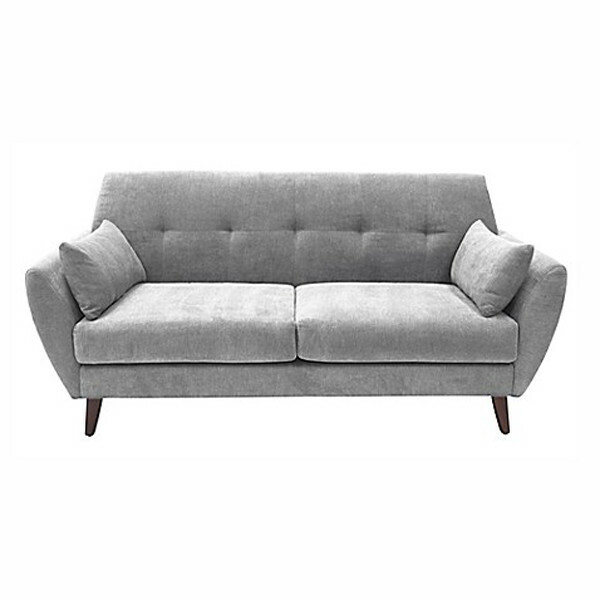 This mid-century piece is a perfect sofa for small spaces. Bed Bath & Beyond Serta Artesia Sofa, $449.99 - $569.99, Bed Bath & Beyond. 3. 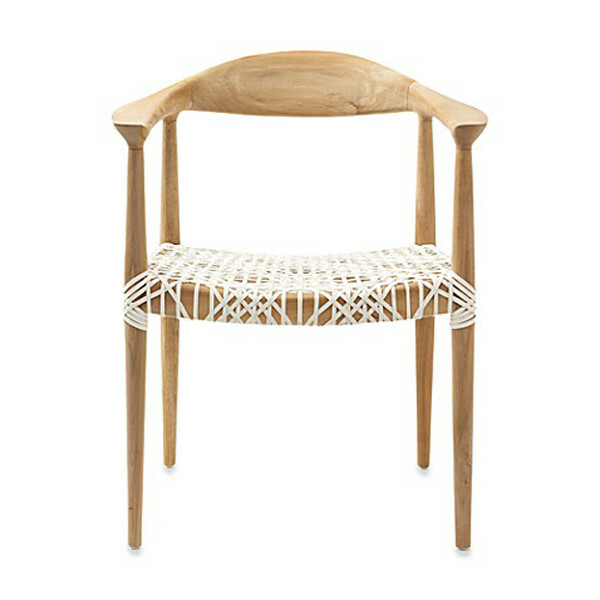 A contemporary find, this modern chair looks best in twos. Imagine a pair of these in a neutral living room. Bed Bath & Beyond Tov Furniture Canton Chair, $358, Bed Bath & Beyond. 4. We've mentioned before how much we love a vertical bookcase, and this find is no exception. 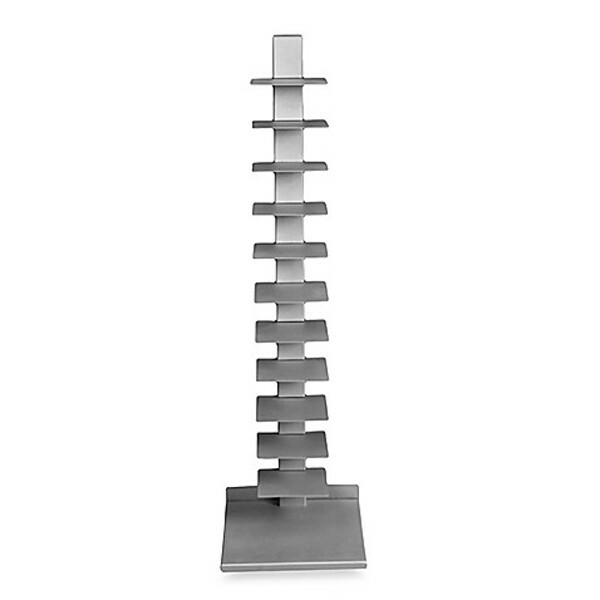 Bed Bath & Beyond Vertical Standing Bookcase, $129.99, Bed Bath & Beyond. 5. This nightstand is an ideal steal, complete with a mid-century build and plenty of storage space. 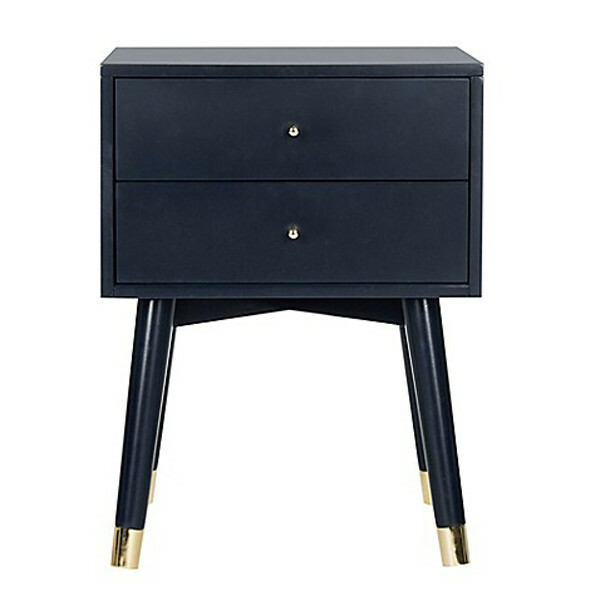 Bed Bath & Beyond Safavieh Retro Nightstand, $184.99, Bed Bath & Beyond. Check out more modern Bed Bath & Beyond steals here.